Every year, there seems to be a bit of a national debate about when it's OK to put up your Christmas decorations when it's alright to start singing those classic songs, but each to their own I say. I know there's the tradition of the '12 days of Christmas', but quite frankly, I love the season so much that I want it to last the whole of December. We always put our decorations up at the start of the month but this year, we have to do it a little early, today in fact, as we are out most of the day tomorrow. Ah well, nevermind! 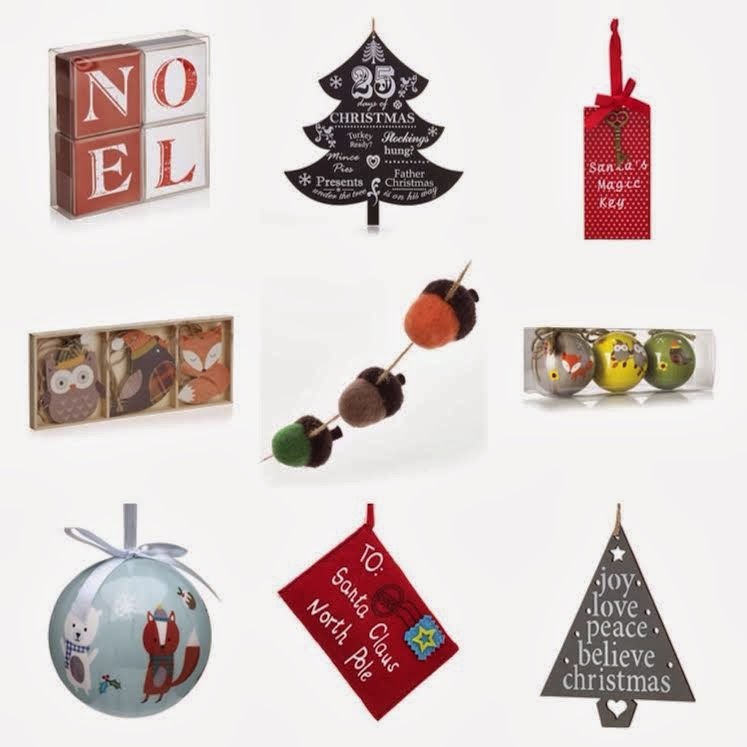 Despite the fact we have quite a nice collection of decorations, every year I can' resist buying a few extras and this year, the beautiful range at Wilkinsons has truly captured my heart. My justification for my Christmas haul is we have Ethan this year and a third, mini, tree to decorate so I just HAD to get a few more bits and pieces. Wilkinsons is great for homeware in my opinion because their prices are so reasonable and they're pretty up with the trends. This is so true at Christmas and this year, they're done themselves proud. From Scandinavian red and white, homespun style to glitzy black, teal and gold tones, Wilkinsons seems to have it covered. With our little man in mind, I became quite taken with the woodland range and bought a few cute hanging decorations plus the bell Christmas lights were a must. I absolutely love the Santa's magic key idea and I'm going to try and make this myself for Ethan. A few other bloggers have shared their ideas for putting together a Christmas Eve box, and I'd already planned to give ourselves all new PJ's, one gift early each and watch The Muppets Christmas Carol, so I think I'll bundle all this up with the key. Most of the pieces I picked up were just £1-£3 each and there were some lovely gift ideas too - just a shame I've already bought all our presents, as I happily could have bought for my friends (and myself) all over again! I'll share some snaps of our home once it's been transformed into a winter wonderland next week. I love buying a special decoration for the tree each year, and we have one that Ethan made with his own fair hands this year to add. I can't wait to enjoy the twinkly lights, warm throws, festive scents and sparkling garlands and of course, to open our family advent calendar for the first time. 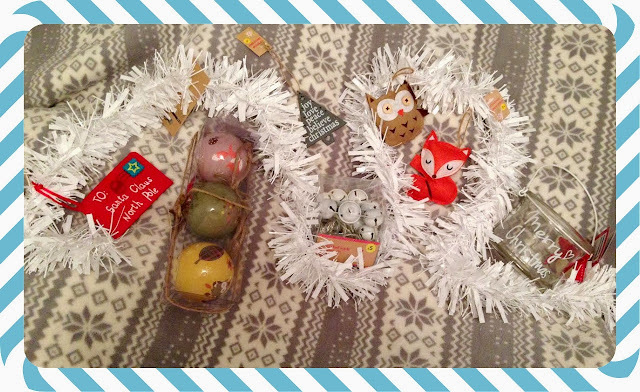 Note: This isn't a sponsored or PR post in anyway - I just love Wilkos and wanted to share my fab festive finds in time for when people start putting their decorations up!